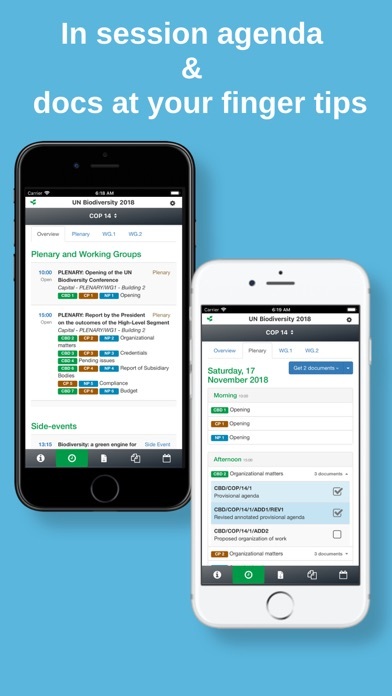 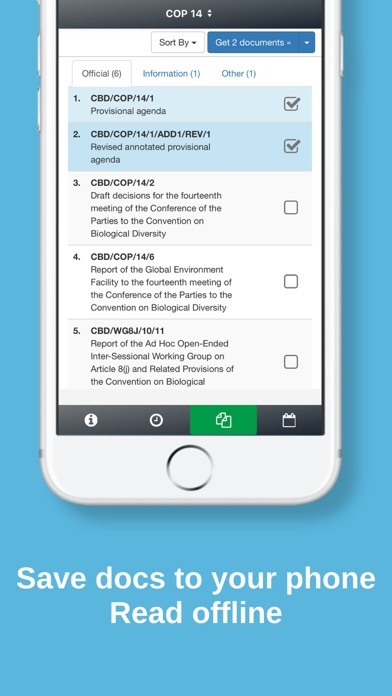 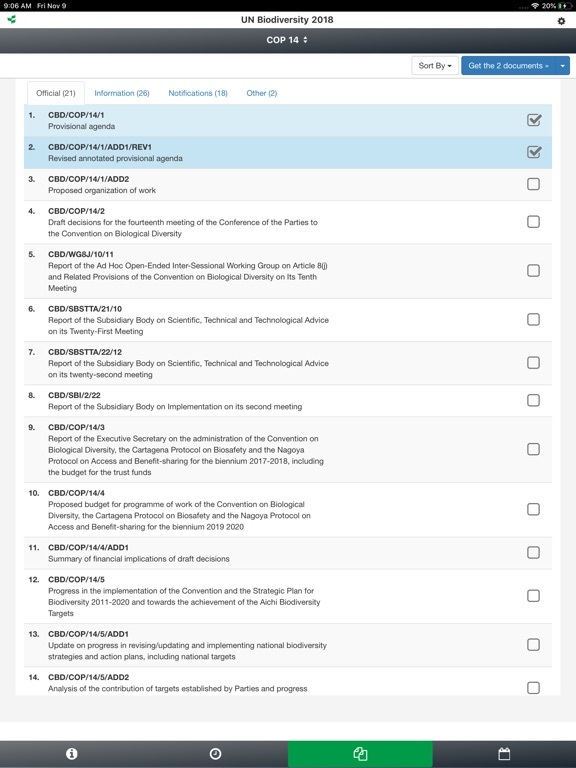 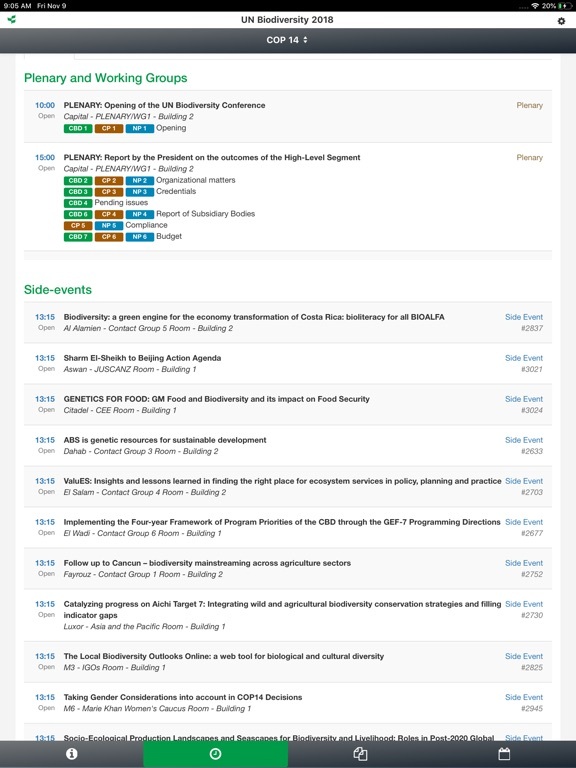 Information on CBD/UN Biodiversity conferences and related events is available to you at the touch of your finger. 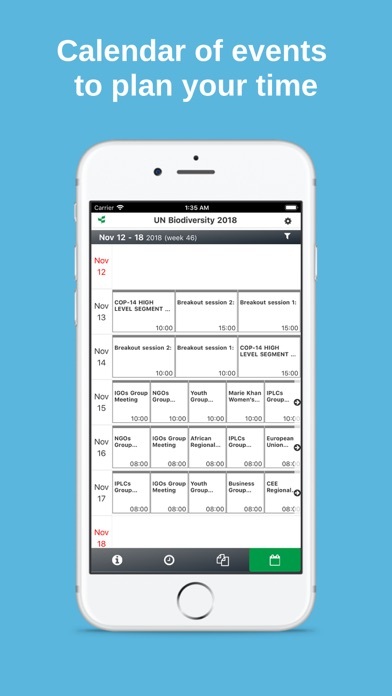 Access important information including agendas, descriptions, in-session documents and activity dates and times. 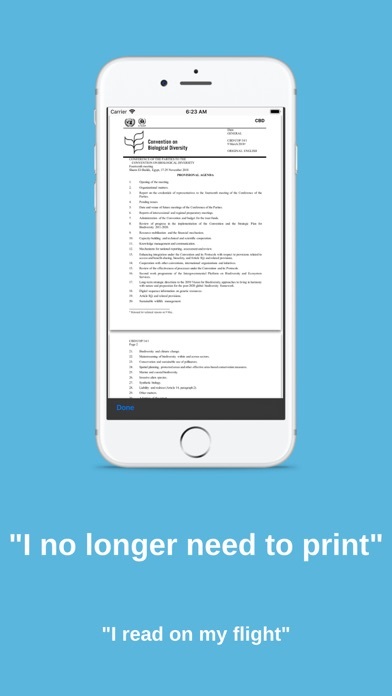 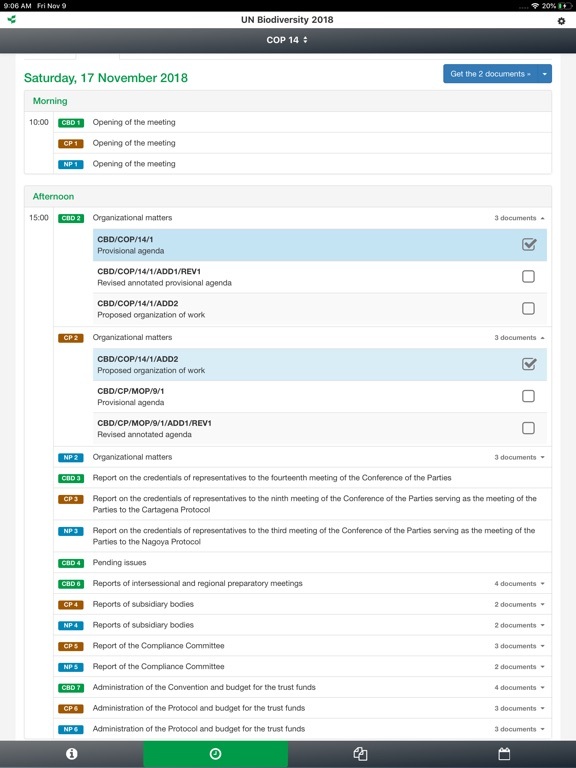 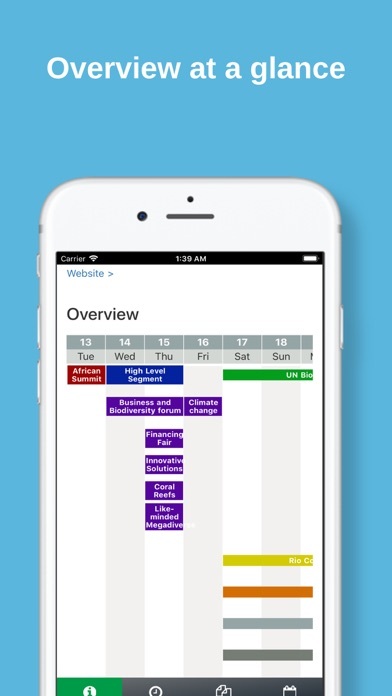 You can create a custom schedule to help you manage your time while at the event or download documents to read on the go or offline. 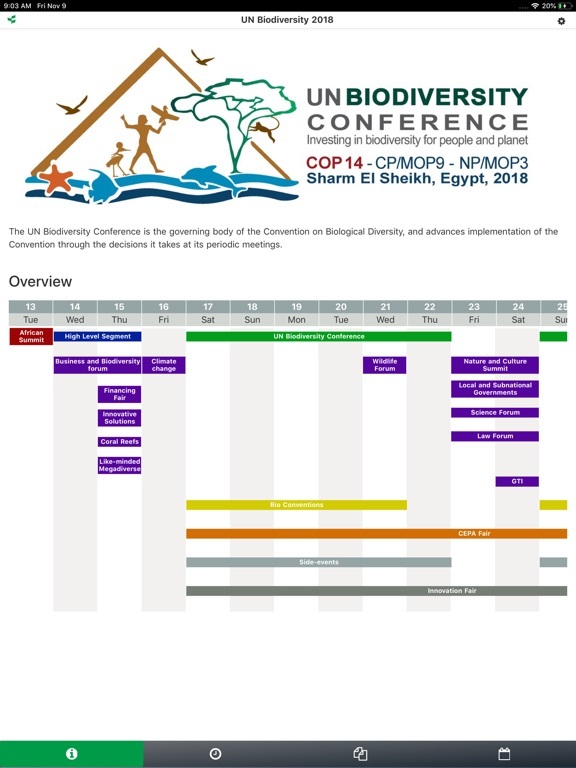 Provided by the Secretariat of the Convention on Biological Diversity (SCBD).